My extended family - by blood and by marriage. For my country, the United States. Our jobs, that allow us to have necessary and good things. Baseball, especially the New York Mets. Amateur radio - the world's greatest hobby. There are so many things to be thankful for - I can never think of them or list them all. Thank you, God, for blessing the lives of me and my family. It's less than a week to go until Thanksgiving. This is a day set aside, by the leaders of our country, in order to step back, take a breath and thank the Creator for the wonderful bounty He has bestowed upon the United States. There are many out there who are uncomfortable with the abundance that has been bestowed upon us. I guess there are some out there who feel we have been given too much and that other nations have so little. There is some validity to that. The United States has been given much - but in turn, we give much in return. There has NEVER been a nation like ours, who gives and gives and gives, for the most part without asking for anything in return. Tsunami, earthquake, famine, flood, whatever ...... if it happens in another part of the world, Americans unhesitatingly open up their wallets or larders and donate whatever they can. However, while the actions are all well and good; and very commendable, they are not enough in their own right. It is necessary for us to humble ourselves (I know .... what a concept!) and get down on our knees and thank God for the gifts He has given us. Because in the end, the wise ones know, that we can do nothing on our own. It is only by the grace and gifts from God that we are able to achieve what we achieve; and accomplish what we accomplish. So this Thanksgiving, please put some time on the side - even if it's just a few seconds while you're shaving, dressing, taking the dog for a walk, or whatever; and from the bottom of your heart give thanks to the Almighty for the benevolence that He has deemed to bestow and continues to bestow upon us and our great country. PS: To all the men and women in all the branches of the United States Armed Service - THANK YOU for defending our freedom and our way of life! Thank you for being there on the front lines so we can enjoy our bounty and give thanks without fear. Whoa, Martha! Who turned off the ionosphere? Wow! Tonight was a tough one! It was definitely like I was scraping the bottom of the QSO barrel in order to eke out a QSO to fulfill my "QSO a Day" obligation. Here it is, November 12th. I've made a QSO everyday since January and I'm getting down to the last 6 to 7 weeks of the year. I do not need the ionosphere to go haywire on me just now. After puttng the kids to bed tonight, I went down to the shack for my nightly QSO. I got a late start because there was a new episode of SpongeBob Squarepants that the kids wanted to watch. As of 8:30 local time, I started calling CQ for an hour and a half with no takers! 40 Meters was wall to wall RTTY (yet another contest ... sigh!) and 30 Meters was pretty much dead. 80 Meters had some signals on it; but not all that many. Around 10:30 I decided to come upstairs for a short break. When I headed down about 10 minutes later, I heard a very loud station calling CQ on 80 Meters. It was Mike Barrell WB9DLC. We've QSOed a few times before; so right then seemed as good a time as any to drop in my callsign and say "Hello". Mike and I chatted for about ten minutes, and then I let him go. He was hunting for new FISTS numbers as he is not far from achieving Century Gold, the award you earn for working 500 other FISTS members. Way to go, Mike! Last night was the third installment of the QRP-L 40 Meter Foxhunt. 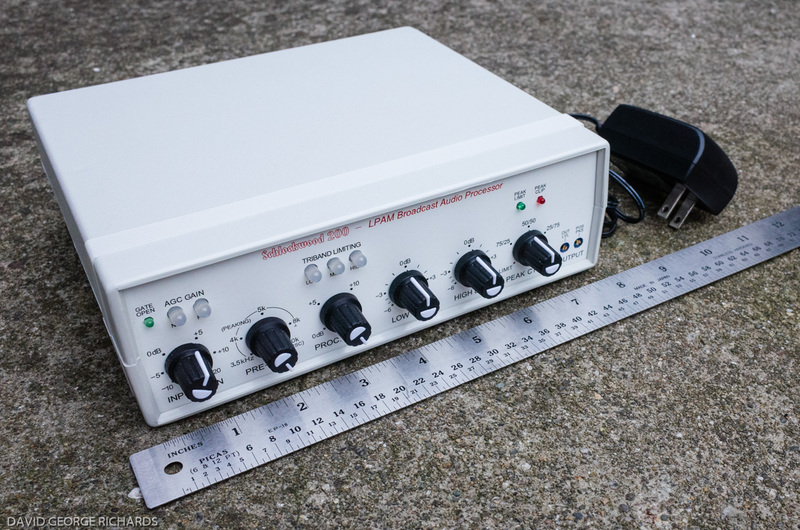 For those of you who are not familiar with the concept of a QRP Foxhunt, this is how it works. We get these tiny, small clubs ........ No, No, NO !!!! No wild animals are bothered, injured or harassed. The way it goes is that two volunteer "Foxxi" get on an unnanounced frequency somewhere between 7.030 and 7.050 MHz. For the next 90 minutes, they call "CQ Fox" and then it's up for the rest of us "Hounds" to find the Fox; and have a successful exchange of RST, State, first name and output power. When the exchange has been successfully made, then and only then, can you consider yourself to have "bagged a pelt". If any of you out there have animal sensitivities and are bothered by the jargon; then I can only tell you to "Get a life". It's all in fun and there is no harm done to anything except for maybe knocking off a few charged particles up in the ionosphere. At any rate, the current Foxunt season began three weeks ago and will continue to run every Thursday night until sometime in March 2006. Last night the Foxii were Doc KØEVZ and John W1RT, who are two very, very good QRPers. I didn't expect to hear John at all last night. He lives in Viriginia, which is too close for good communications on 40 Meters at that time of night at this time of year. I was not disappointed. I heard the pack of houds baying at him; but as expected, I heard nary a peep out of W1RT. I was disappointed, however, with Doc's signal. Doc lives in New Mexico and normally at this time of year, propagation to Texas and Louisiana and a lot of the great SouthWest is an easy hop for me. I don't know if the ions decided to take the night off for Veteran's Day, or what. I heard absolutuely nothing of Doc or the pack of Hounds chasing him. Disappointed, I took a quick run down to 80 Meters and had a quick QSO with W9TO to at least fulfill my "QSO a Day" obligation. With a half hour to go, I popped on back to 40 Meters and lo and behold, I was able to hear the faint whispers of Doc on the air. QSB was fast and deep, with Doc rising out of the ashes to be a solid 559; only to go to ESP levels within seconds. What made a bad situation worse was that I could hear Doc handing out exchanges to stations; but I couldn't hear any of those guys he was working! It was impossible for me to tell if Doc was working simplex (on his own frequency) or split (listiening on one frequency and transmitting on another). So I decided I was going to work split; but carefully. I started out almost simplex and then with each try I would move my transmit frequency just a touch higher and higher. It didn't look good; but finally, with about 5 or 6 minutes left in the Hunt, Doc came back to "??LJ". I sent my call and heard it comeback, along with Doc's info. 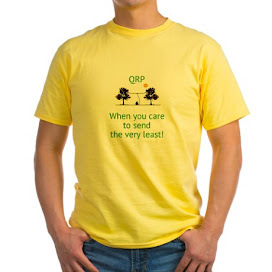 I sent mine only to hear "QRN agn pse". So I sent my information again, this time just about a WPM slower and sent each bit twice in an attempt to overcome the cruddy band conditions. I was awarded with a "Tnx Larry 72 de KØEVZ". There's nothing like a fresh pelt hanging in the larder! By the way, to all of you out there who have served; or are serving in the Armed Forces - "Happy Veteran's Day" !!!!! I thank you for your service to our country. These feelings of gratitude come from the heart and are not just "words" for me. I would like to especially thank a man from New Jersey who served as a Sergeant in the Signal Corps. during WWII in England, France and Germany. He was known as Master Sergeant Alexander Makoski. He is my Dad, who passed away in February 2001. I used to really enjoy his recounting of his experiences in Europe during the war. It is often said that as you get old the eyesight is the first to go. 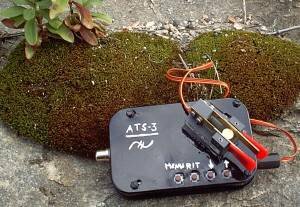 I have started building my ATS-3 transceiver kit ala' Steve Weber KD1JV. Working on this kit will put the above mentioned hypothesis to the test. This kit is 99% surface mount technology, or SMT as it is known. SMT had to have been developed by masochists. The parts are so tiny that I'm pretty sure a grain of uncooked rice is bigger than some of these capacitors and resistors. All work is done with a tweezers and I have resorted to wearing one of those magnifying loupe headband thingies. My bifocals alone are not cutting muster. The solder that Steve has supplied with the kit is so thin that it reminds me of a cat's whisker from the old crystal radio sets that I played with as a kid. Soldering is done carefully and methodically, all while trying to balance solder, soldering iron and a dental tool for holding parts down in two hands. After each component is soldered in, a visual inspecion is done with all the magnifiers flipped in place to make sure there are no solder bridges as well as no forgotten soldered joints. After the visual inspection is finished, I take an Ohmmeter and check for continuity from the component just soldered in to whatever pad or device that it is connected to. Construction is definitely taking longer this way; but I want to make sure that if the radio doesn't hum on initial power-up, that it won't be due to some stupid soldering mistake that I may have unwittingly made. If I can still see straight when I'm finished with this project; then I will consider myself to be a very fortunate Ham, indeed! The people of this state (New Jersey) went and elected yet ANOTHER tax and spend Democrat to the Governor's office. I swear, a rattlesnake could run for office in this state, put a "D" by his name; and would be elected. You know what the biggest "Jersey Joke" is? It's not the Turnpike, it's not the pollution, it's the people! I had an extremely good time on the air last night! I flipped the K2 on and tuned in 40 Meters. Once again, I was greeted with a near silent hiss of a quiet backgound. Every time I turn to 40, I'm afraid that I'm going to be confronted with that buzzsaw of noise again. Breathing a gentle sigh of relief, I turned the K2 off and plugged in the Rockmite 40. After a few CQs, I was granted the opportunity for a QSO. The station I was working was a brand new QRPer who was trying out his new SW40 We were both 559 until the band changed a bit; and QSB took over the frequency. It was nice to see my 500 mWatts get out into the Midwest; and to see the radio still works. About a half an hour later, I jumped into the fray of the Adventure Radio Society's monthly Spartan Sprint. That was good time as well. Twenty Meters wasn't the greatest, yielding only 3 QSOs. 40 and 80 Meters were great, though. I made 18 QSOs on each band. 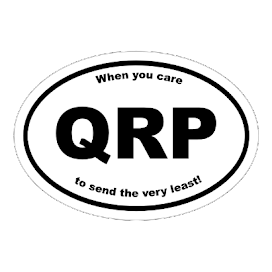 It was nice to hear the callsigns of fellow QRPers who have become friends; as well as new callsigns, perhaps those just being bitten by the bug? At any rate, as a really "in it for the fun" kind of contester, I was pleased with my tally of 39 QSOs in two hours. 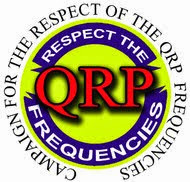 The QRP Sprints are a lot of fun for me; and I look forward to them each and every month. The quiet that was ....... is back! Yay! For the past week, the nice quiet background that I have come to know and love on 40 Meters is back. I have no idea as to why or wherefore; but the month of October saw an ambient noise level of S3 to S5 on 40 Meters. It made the band all but unusable. Only the strongest of signals were copyable; and this is not the "bread and butter" of a QRPer. Our strength is in our above average skill in copying signals that are "less than optimum". There is a house across the street from us that is being renovated for resale. The folks who lived there left to go live with one of their children. It seems that workers have been in and out of there constantly, getting the place ready for resale. I have no proof; but I feel they must have been using something during their labors that was generating a ton of RFI. Now that the house is almost complete, the noise has seemed to have diminished. Whether I am correct or not in my assumptions is immaterial. The noise is gone for now; and I hope it's for good!